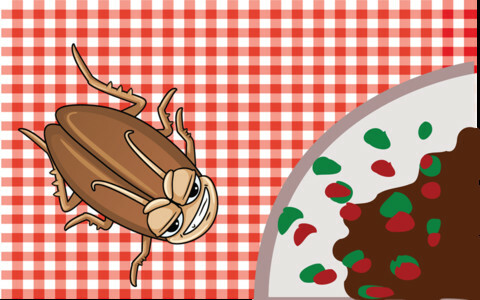 La Cucaracha II, developed by David Golding, is a fun iPhone game that lets you steer a tiny cartoon cockroach across a field of obstacles. While it is an enjoyable game, there are some issues. Most people want to kill cockroaches when they see them. 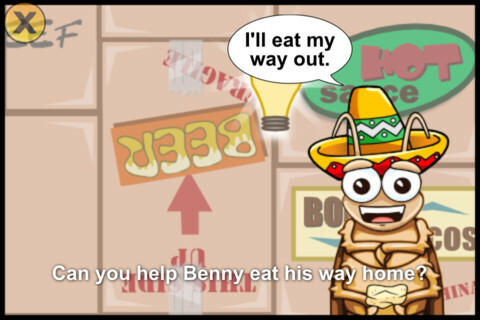 But in La Cucaracha II, you actually want to protect your roachy little pal from all kinds of terrible misfortunes. 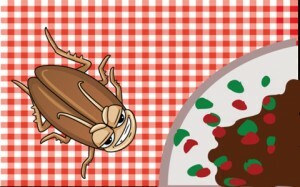 Of course, if you’re the sadistic type, you might enjoy seeing the myriad ways that the cockroach can be killed. Just some of the ways include being eaten by a snake, being shot with bug spray, or being shocked by a bug zapper. One feature that may annoy some players is the constant recalibration before each run begins. You need to hold the iPhone flat and still for three seconds to reset the tilt controls. I’m not sure how much it helped to improve my phone’s response: I’ve played similar games without a recalibration process between each run, and had no issues. Complaints about the recalibration aside, the tilt controls are very responsive. There are also joystick controls, if that manner of control is more to your taste. You’ll need to navigate the screen to collect food while simultaneously avoiding obstacles. 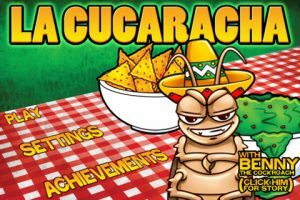 There are also three difficulty settings, which makes La Cucaracha II ideal for young players or swift-fingered adults alike. La Cucaracha II boasts 7 free levels, as well as tons of power-ups that protect your roach avatar from sticky traps, poison, or fires. 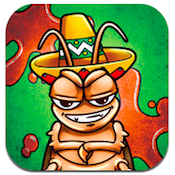 With tons of ways to die, amusing graphics, and decent replay value, La Cucaracha II is great fun. 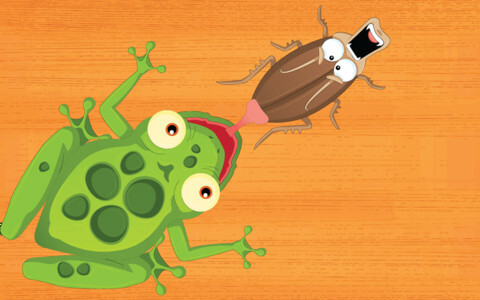 It might not change how you feel about roaches in real life, but this iPhone game is surprisingly addictive. La Cucaracha IIis compatible with iPhone, iPod touch, and iPad. Requires iOS 4.3 or later.A small expedite fee was paid by the developer to speed up the publication of this iPhone game review.